Are you an innovative startup solving problems in Energy Efficiency, Energy Independence, Digitisation or Analytics? Would you like to get feedback from experienced entrepreneurs, investors and industry experts? 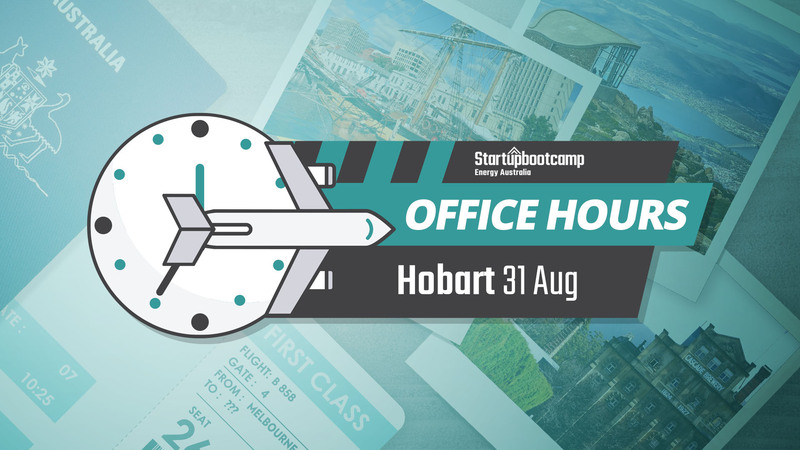 If so, Startupbootcamp Energy Australia invites you to our Office Hours in Hobart on 31st August 2017. This will take place at Enterprize Hobart, 91-93 Macquarie Street, Hobart, Tasmania. During Office Hours, you will be able to have an informal meeting with Richard Celm from the Startupbootcamp Energy Australia team. He will walk through your idea, product, and team, and give you immediate feedback and advice. You will also be able to learn more about Startupbootcamp Energy Australia’s accelerator program and how we can help build and scale your business. After you have submitted your application for the event, we will contact you to arrange a time to meet on the 31st August. Please note we only have a limited number of time slots and applications close 2 days before the event so make sure you complete your application early!